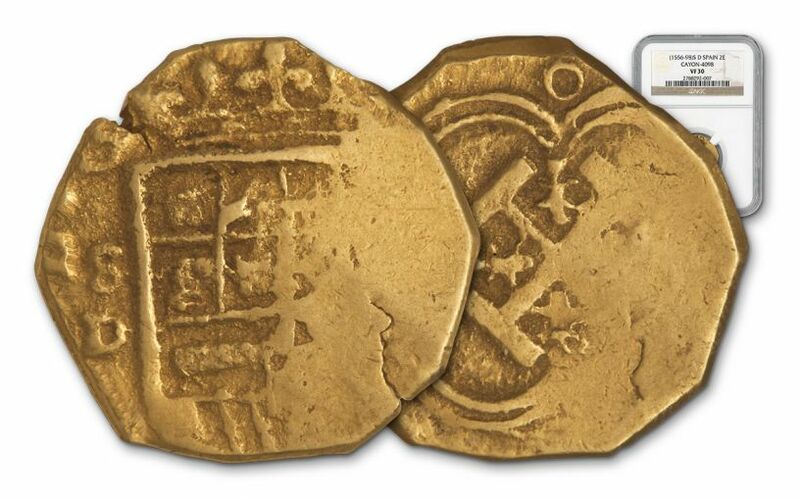 This Spanish Gold 2 escudo was struck at the mint in Seville Spain between 1556 and 1598. It grades Very Fine 30 (VF30) by Numismatic Guaranty Corporation (NGC). The first mass production of machine made coins dates to about 1660. 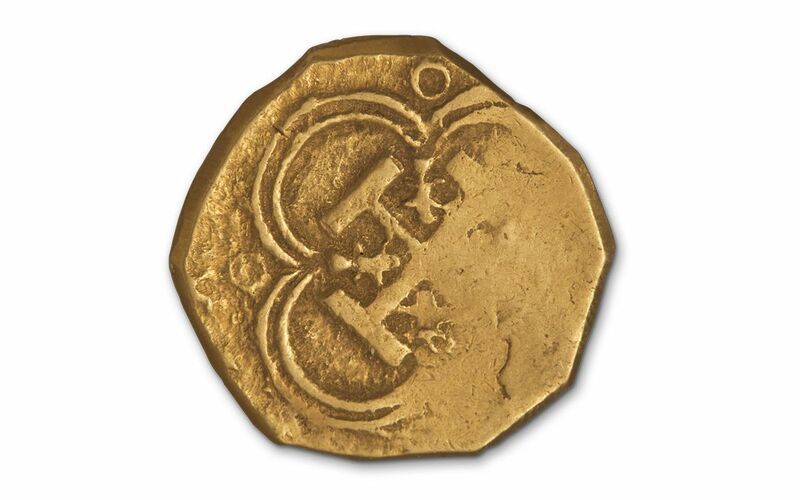 Prior to that coins like this 2 Escudo Gold were struck by hand on rough hand-made planchets known as 'cobs'. Because of the process used, each coin is unique! 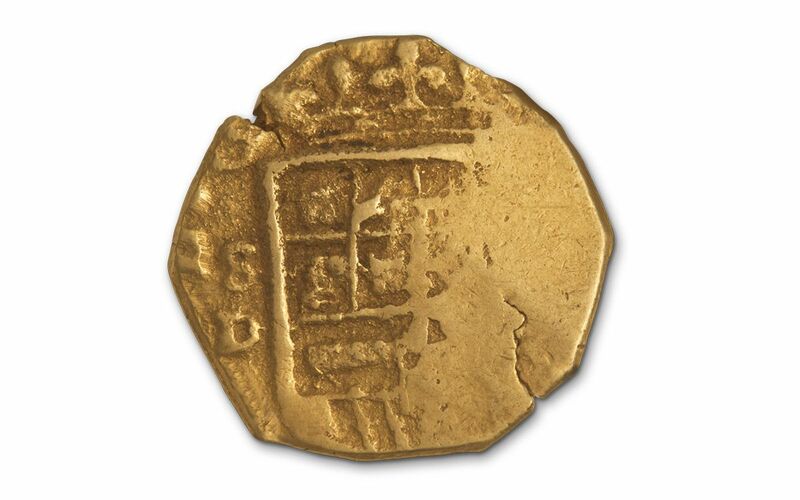 We very rarely get the opportunity to make available Spanish treasure such as this 16th century 'gold doubloon'. It was struck less than 100 years after Christopher Columbus sailed the ocean and discovered America (1492)! These coins were struck under the rule of Spanish King Felipe II who ruled from 1556-1598 and built a large empire. At the time Spain was considered to be in the Golden Age because of the high influence and power over its colonies. The expression used for Spain during this time was "the empire on which the sun never sets," because of the immense area that King Felipe's empire covered. The obverse of the coin features a crowned shield in center with the mintmark for Spain (S over a square D) to the left, and II on the right. The legend around the coin reads: PHILIPPVS-II-DEI-GRATIA. The reverse shows a Jerusalem cross inside 4 lobes around each corner of the cross. The legend reads: HISPANIARVM-REX. 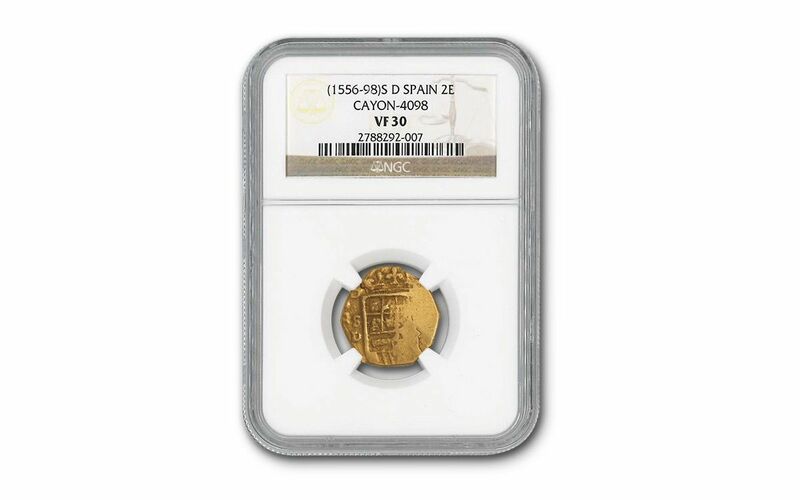 The Very Fine 30 attribution by NGC makes this coin a quite desirable addition to your collection.